Are you looking Toshiba Satellite C655D-S5209 laptop Windows 7 Driver? Here is the Toshiba Satellite C655D-S5209 Drivers for whoever needs help installing them on Win7. If you experience any problems with the drivers, please leave with us your comments. The Toshiba Satellite C655-S5305 15.6-inch affordable laptop with an Intel Core i3-2330M processor, Intel HD graphics, 4GB of system memory, a 320GB hard disk, and a Built-in webcam with microphone. The following drivers are compatible with your Satellite C655-S5305 Notebook and Windows 7 Operating System. Are you looking Satellite C655-S5503 Notebook Windows 7 64-bit Driver? 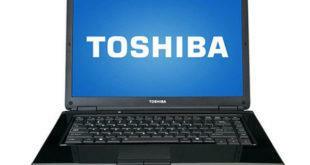 Below is an the list of Windows 7 driver download links for Satellite C655-S5503 Notebook, from Toshiba. So this will help you to update your Win 7 64-bit Drivers. The P845T-S4102 packs the Intel Core i5-3337U Processor with Mobile Intel® HD Graphics, 8GB of RAM, and a 750GB hard drive. The following drivers are compatible with your Toshiba Satellite P845T-S4102 Notebook and windows 8 64-bit Operating System.